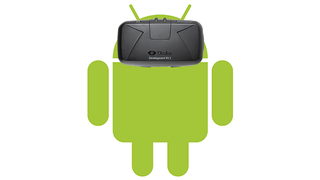 Well, if Google's small cardboard-based foray into virtual reality last year wasn't a big enough hint, a new report from the Wall Street Journal says that Google is about to get even more serious about VR—by trying to become the standard OS for headsets everywhere. The WSJ reports that two people "familiar with the situation" say Google has assembled a small team to start building an open operating system for VR. If this rumor is true (which lets be honest, of course it is), Android will already face competition from Samsung and Facebook who have already showcased their own software on the Gear VR and Oculus Rift.